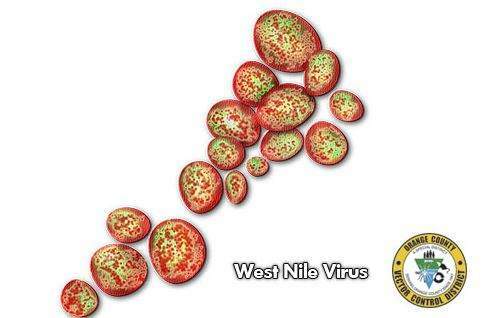 (Santa Ana) – A Santa Ana man has tested positive for West Nile Virus (WNV) infection, becoming the County’s first human WNV infection in 2014. This is the 10th human case of WNV reported in California. The man was admitted to the hospital in late June with symptoms of West Nile Virus, and is now at home recovering. In 2013, there were 12 reported human infections of West Nile Virus and zero WNV related deaths reported in Orange County. Wearing long-sleeved shirts and long pants when outdoors. Most people who become infected with West Nile Virus do not experience symptoms, but about 20% will develop fever and may have headache, body aches, nausea, tiredness and sometimes a skin rash. More serious symptoms, such as severe headaches, neck stiffness, confusion, muscle weakness or paralysis, occur more rarely, but people who develop these symptoms should seek medical care immediately. People over 50 years of age and those with certain medical conditions are at increased risk of serious complications from WNV infection. Information on mosquito control is available on the Orange County Vector Control District’s website.